Greenville is a growing, prosperous city nestled amongst the beautiful hills of the Upstate. For families stuck in a cycle of financial difficulties, though, the charms of Greenville are lost amidst stress and turmoil. Due to the foundational roots of poverty, financial crisis, and homelessness, outside help is almost always needed to give families a chance at something more than constant struggle. United Ministries exists to identify various contributing factors and offer multiple services with one goal: to serve and empower those on the transformative journey to self-sufficiency. Let’s work together to make Greenville a standout community, where everyone has the opportunity to thrive. Working at minimum wage $7.25/hr each week requires 66 hrs/wk to afford a modest 1-bedroom apartment at fair market rent. A minimum wage worker can afford housing at $377/mo; the fair market rent for a 2-bedroom is $758/mo. 18.3% of people in SC were living below the poverty level in 2014. 27.3% of children in SC were living in poverty in 2013. There are an estimated 1,200-1,500 homeless individuals in Greenville County. As a faith-based 501(c)(3) that exists to serve our community, we feel that financial transparency and accountability to our wonderful supporters is of the utmost importance. United Ministries has thoughtful services that serve, transform, and empower those in need toward achieving self-sufficiency. This means that our services can be quite different from one another, but they all work toward a common goal. 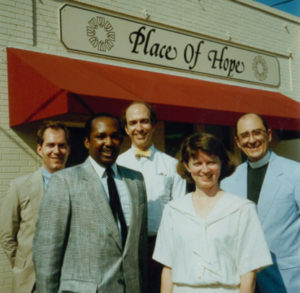 Greenville Urban Ministry is founded. 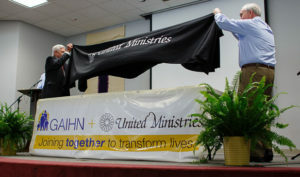 Greenville Urban Ministry is renamed United Ministries. Employment Readiness Program begins (under the name “Caring for Unemployed People”). Offices move to 606 Pendleton Street (from 712 Laurens Road). United Ministries and Greenville Area Interfaith Hospitality Network (GAIHN) join together, expanding housing for homeless families. Tammy Wilson says that it was a humbling experience coming to United Ministries for help, because she wasn’t sure if she’d receive any. Her husband had lost his job, and his income was primary in the household. She came to United Ministries Emergency Assistance program for help paying their power bill, and as part of the program, she learned about United Ministries Employment Readiness program. Initially, she just wanted help with her resume, but in the end, she received much more. “I feel like United Ministries went above what I ever expected,” she says. Tammy and her family were in a tight spot, and she knew something had to change. Tammy’s motivation impressed her employment counselor, and they began working together to make positive transitions in her life. United Ministries not only helped Tammy with her resume, but also helped her find a job, provided her with work pants, helped her with a legal situation, and provided her with a gas voucher to get to work. One of the things that made a lasting impression on Tammy was the help she received with her budget. Tammy, her husband, and her son were all using the same vehicle to get to their jobs. 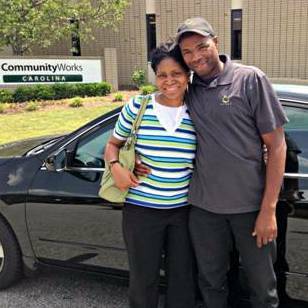 When their vehicle began to break down, United Ministries and CommunityWorks were able to help them acquire a new vehicle. Through a partnership with CommunityWorks, United Ministries provided Tammy with a micro loan as an alternative to a predatory title loan that had been draining her resources, and also established an emergency savings account that’s being matched dollar for dollar up to $500. 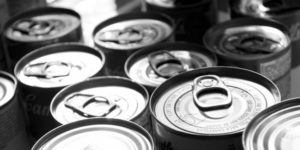 Tammy puts money from her paycheck directly into her savings fund, and she says it feels great to get into the habit of saving. Tammy says that learning to save has been a revelation. She’s seen God’s hand in her life over the past few months. She didn’t know how she could ever save when they were already so incredibly short on funds, but the help that she received from United Ministries turned that situation around. Her motivation to change her situation came together with the help from United Ministries and partner organizations, and she feels truly blessed.